After giving a better look to World War II German soldiers with his Barberwaffe series, BRAVO-6 decided to do the same for United States soldiers. B6-35120 depicts an US Army soldier leaning forward to shave and has a humorous title as Shaving Private O’Ryan. Figure comes well packed in standard cardboard box of the company labeled with a photo of the figure painted by Vladimir Demchenko, also the sculptor. Inside the box, parts are seperately inserted into plastic zip-lock bags and served with easy to remove casting blocks. As always, figure is sculpted in crisp details and cast clean in medium grey resin . No air bubbles or any casting mistakes on the review sample. A short cleanwork may be needed to remove the seamlines on the arms and flash resin behind ears. O’Ryan comes in 7 parts – Body, two arms and accessories. 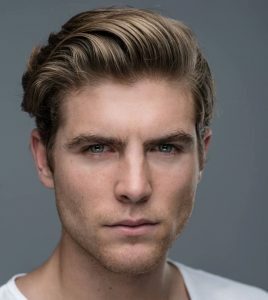 Facial details for a shaving pose like eyes looking down to the mirror, mouth/lips pulled left when shaving right cheek and slicked-back hair style are well defined. He wears a US Army coat style shirt with seven buttons down the front and two large breast pockets with flapcovers closed by buttons and Trousers with side pockets and two slit pockets on the back secured with M1937 Enlisted men cotton web belt with open face buckle. 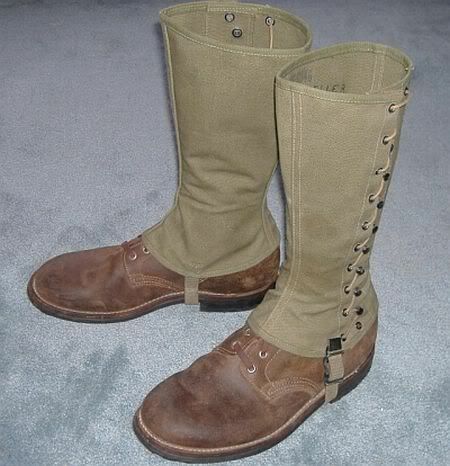 As for the footgear, he has M1938 Leggings and ankle high service boots. Arms are posed for shaving with upfolded sleeves. Right hand has a razor and left one is posed to hold the face. Top part of the razor should be scratched with a small rectangular plastic sheet. Boxart shows the figure shaving with a Willys Jeep mirror but some accessories like a brush in pot, a mirror and support are included inside the kit. Another unique BRAVO-6 figure to use in World War II scenes with standard high level sculpt and cast. Highs: Rare posed figure, usual high quality sculpt and cast. Lows: Flash resin to clear behind ears. Verdict: Useful figure for WW II US Army at rest scenes. That is a nicely rendered in a common but little modeled pose. Extra points for the pun too!